E-commerce has a wide wingspan, and it is also growing day by day. The internet technology forms the backbone of an online business and search engines play a significant role in its proliferation. Google is one of the most popular and preferred search engines. The innovative nature of Google is one of the factors that attribute to its success. Most of online businesses rely on Google to reach out to their customer base. To stay competitive in the market by enhancing customer experience, Google spends a substantial sum of money on its research and development department and keeps updating its search algorithms. If you are one of the players in the online commerce world, this activity of Google will affect you immensely. The effect can be positive or negative depending upon the features of your website and the type of update. Let us get an idea about the kinds of update Google does to its algorithm and how they affect the realm of internet commerce. Google regularly does minor updates to its algorithms daily and at different intervals. However, some of them are major, and they get highlighted. When it comes to updates, most of the time Google does not disclose them in detail, and the e-commerce players or professionals must conduct a lot of research to understand it. As a business owner, you must know about the changes because they decide if your present or potential customers can search and find you. Some of the significant algorithm changes that Google has done in the past are listed below. Google brought the Panda Update in the year 2011. This update affects your search ranking. Websites that have duplicate or plagiarized contents are ranked lower, and when the user searches items related to this site, it will not be shown by the search engine as the top four or five options. Google even pushes down the web pages packed with keywords. The year 2012 saw the introduction of Penguin Update. After this update, Google assigned lower ranks to pages with irrelevant links. Hummingbird Update came in to effect in 2013. It aimed at the intent of search and not keywords alone. So, concepts played a crucial role here, and it was advantageous for most businesses. An advanced version called the RankBrain also came into existence in 2015. Pigeon Update is the next thing that Google brought into light in the year 2014. It benefited many local market players. This enhancement targeted the user’s location and delivered nearby results. In 2016, another augmentation called Possum Update came into play. The next crucial one was the Mobile Update that down-ranked the links that were not mobile-friendly. This update came into effect in 2015. In the first part of 2017, Google came up with another tweak in the algorithm which was called the Fred Update. It targeted sites that mostly aimed at generating revenue through advertisements, and they had low-quality content. Google has also made some recent and critical updates in 2018. So, let look at them in further detail. In the Google Update 2018, one of the enhancements in the search engine was about relevance. The links or sites with relevant content soared up on the search list. It is the ‘Brackets Update.’ Then the company also introduced further enhancements wherein the search engine monitored each site carefully and subsequently assigned them the ranks. The sites must meet multiple criteria’s concerning relevance and quality of content to retain a higher status. It means that web-links which topped the search pages were authentic and presentable. Moreover, their sole purpose was not to make money through advertisements, and they used the answer boxes optimally. Also, according to one of the recent developments in the Google algorithm, websites that were slow and not secured or encrypted were pushed-down in the search list. 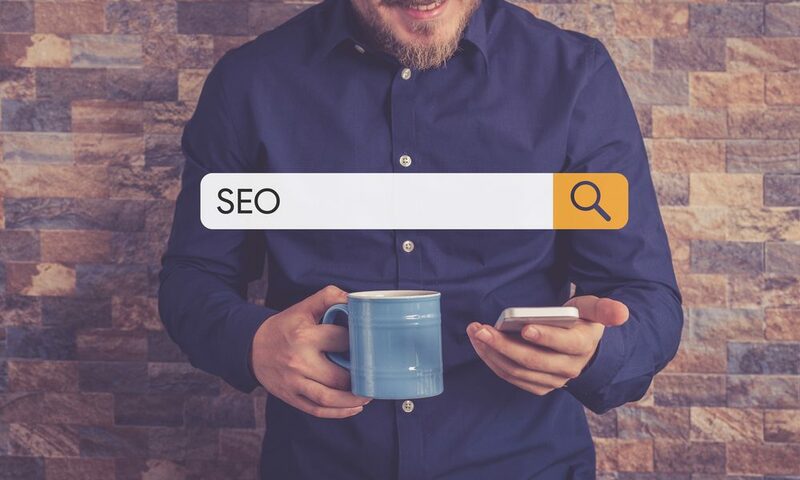 So, as the owner of an online business, if you do not act smartly and maintain the market standards, you will be adversely affected by the Google Update. Your visibility in the marketplace will reduce, your competitors will become more powerful, and slowly you will start losing your customer base. Today customers have high regard for the ranking that Google assigns to web pages. They are more confident to engage with web links that get the top priority by Google and ultimately ranked higher. Therefore, to remain competitive in the present online domain, you need to publish relevant and genuine content. Moreover, you should keep updating them. You should also not use keywords aggressively. Also, include valid links in your web pages. According to Google’s standard practice, including many advertisements on the website is not considered good. Another important thing is that the web content and transaction must be safe and encrypted. Your online business should also be mobile-friendly. It also acts as a significant factor in improving the Google search ranking. Many businesses are available in the Australian market and worldwide who specialize in providing search engine optimization assistance. They can save you from the Google Algorithmic Penalty. For Business Web Hosting in Australia, you can reach out to DataQuest Digital. It is one of the best and fastest growing businesses in Australia. It is a one-stop solution that can secure your website, data, and transactions. DataQuest Digital is also a professional website designer and Online Store Builder. In simple words, it can fulfill all your requirements related to search engine optimization. DataQuest Digital – Best Agency for Search Engine Optimization Australia for Local Business. Google is a very efficient and competitive search engine. It plays a crucial role in the field of e-commerce. Any change related to this search engine directly impacts any company that operates in the electronic realm. If you own a business or you want to Create an Online Store, you must be vigilant about any of the changes that take place in Google’s algorithm. To stay competitive, you must also take appropriate steps accordingly. One of the easiest ways is to get associated with an efficient and renowned search engine optimization vendor who will help you to beat the cut-throat competition of the dynamic and volatile online business world.